When you combine stunning bay views, magnificent landmarks (Golden Gate Bridge, Alcatraz Island, cable cars and more), romantic Victorian architecture, cool fog and diverse neighborhoods, it's no wonder San Francisco is voted the #1 city to visit in the United States time and time again. 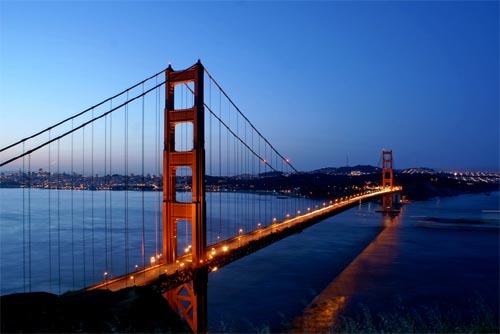 What makes San Francisco the perfect place for your bachelor / bachelorette party or getaway, however, are the lavish hotels, amazing restaurants, hot nightlife, luxurious spas and chic boutiques. Discover why the city's culinary scene rivals just about any place in the world. Party down with the hipsters in the Mission or the prepsters in the Marina. The opportunities to indulge yourself are simply endless. If that's not enough, the wine country (Napa Valley and Sonoma) is less than an hour's drive away.